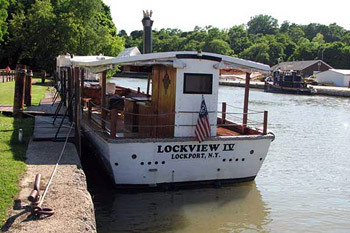 We have 3 boats available for charter: Lockview IV, Lockview V, and Lockview VI. Visit our Daily Cruise page for more information about our vessels. 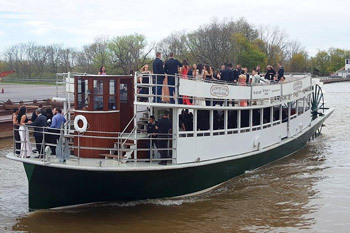 You and your guests can cruise one of the regularly scheduled cruise times available daily from early May to mid-October. Charter and Group Cruises are available every day, anytime from 8 a.m. to 9 p.m, through October 31. 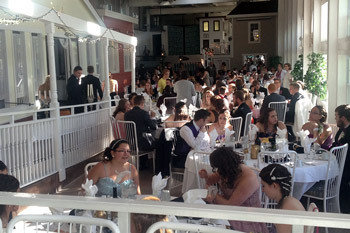 Our banquet facilities are handicapped accessible. Please contact us in advance if you have any concerns regarding boat accessibility. 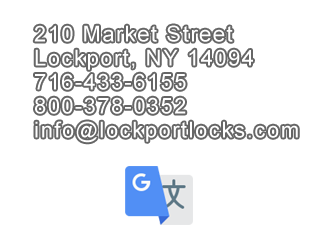 For more about Lockport Locks Group Cruises, call 716-433-6155, or toll-free at 1-800-378-0352. 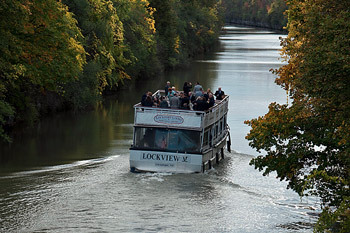 Choose Lockport Locks & Erie Canal Cruises for your family outing, fundraiser, church group, historical society, day-trip, party or special event. 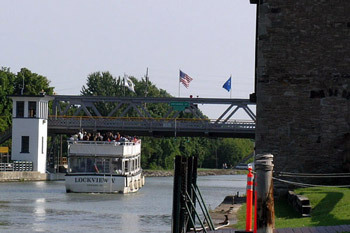 Lockport Erie Canalside Banquets is a unique and versatile facility that easily accommodates a variety of activities. We have a highly qualified chef, experienced staff and the flexibility to meet your needs. 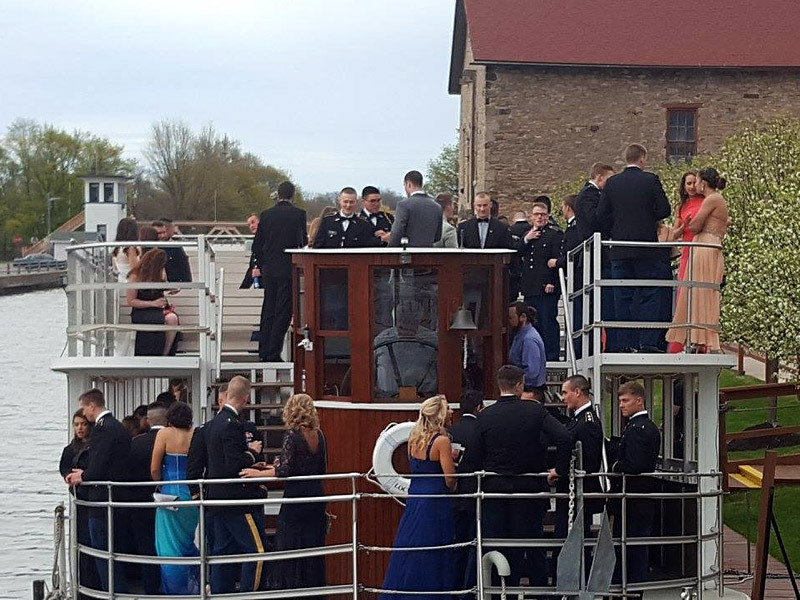 Individual attention to detail – before, during, and after your event – is a priority at Lockport Erie Canalside. One of our event coordinators is always available to guide you through the planning, ensuring you are free to relax and enjoy the company of your guests. Click image to download and view a printable PDF of our Party Menu. 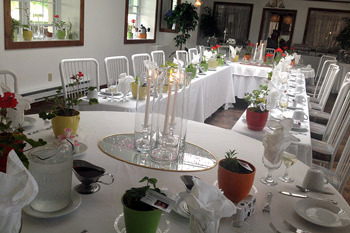 Table settings and decor have been design to give Erie Canalside at Lockport a light airy ambiance to complement any theme. 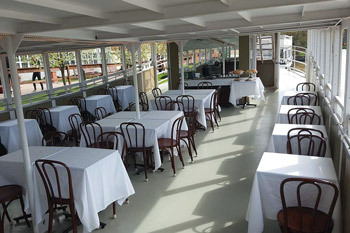 The spaciousness encourages guests to stroll this unique building, picnic area and dock. For a uniquely elegant picnic, consider our outdoor sheltered dining area complete with white linen and china. 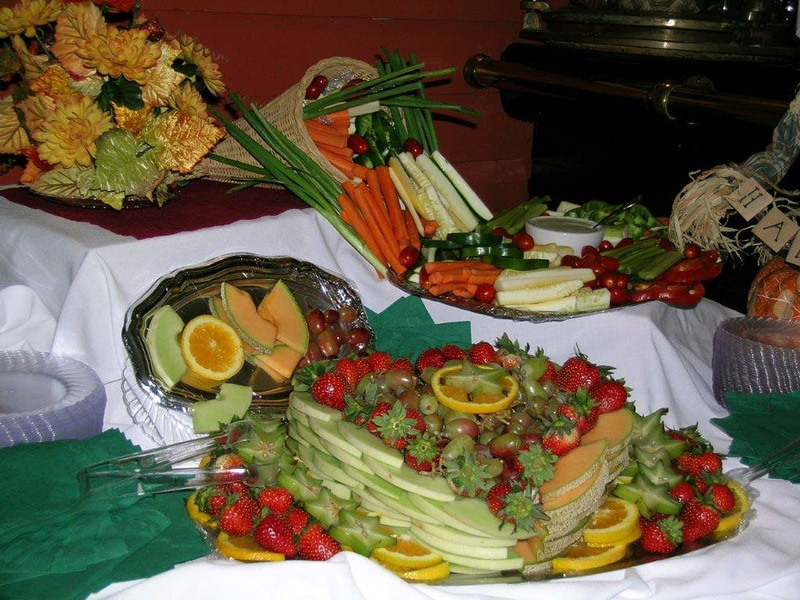 You will long remember the delicious food freshly prepared in our own kitchen just for your event. 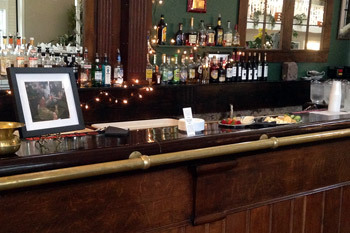 We know you ad your guests will enjoy the efficiency of one friendly server for approximately each 12-16 guests. 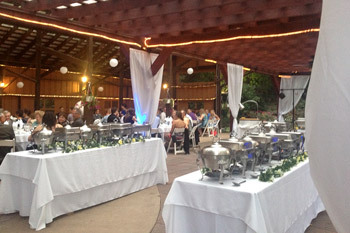 We invite you to plan your special event with us. Call 716-433-6155, or toll-free 1-800-378-0352. 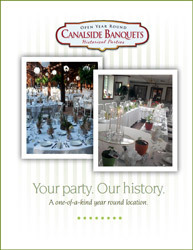 Consider Lockport Erie Canalside Banquets, for your next social gathering. Choose one of our versatile locations for your exclusive use. 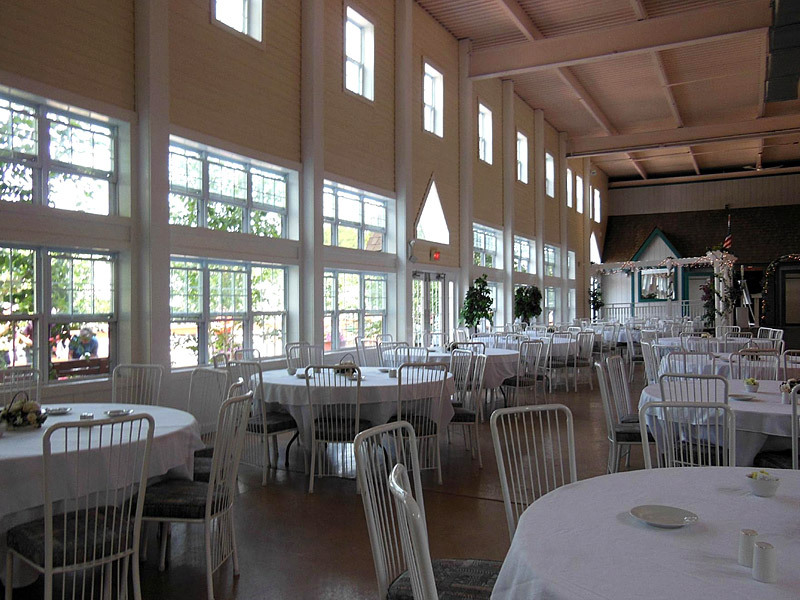 The room(s) that you reserve will not be open to the general public for the duration of your event. Please call us with any questions you may have or to arrange a personalized visit. For more information on our facilities, go to our Facilities page. Or call 716-433-6155, or toll-free 1-800-378-0352.